Launching the Performance X model line, Xilence is extending the already favorable portfolio of power supply units. Following the ErP2014 conform entry-level models and the successful Performance A+ Series, the next step is made into the 80+ GOLD class. 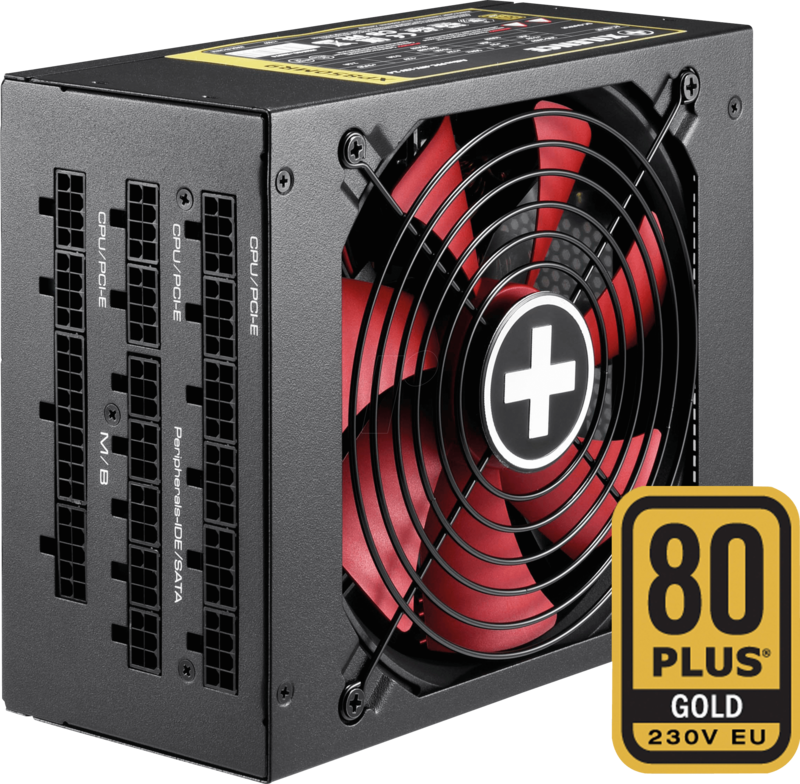 The PSUs score not only with the up-to-date DC/DC technology which guaratees an all-time stable output voltage. Moreover, resonant converters help avoiding switchig losses. Thus, energy is saved and the efficiency increased. The dynamic hydro-bearing fans work in an especially sooth and silent way. Furthermore, the PSUs win over thanks to an extremely long life period and their excellent cooling performance. All of those specifications together with being powerful in quality/price ratio turn the Performance X Series into an ideal solution for current Gaming PC Systems. Others: "80+GOLD 230V EU Certificate, complies with ErP2014, TÜV Süd certified"